Electricity networks are changing today in ways that fundamentally challenge traditional grid reliability and planning tools. New technologies and clean power are creating opportunities, but also challenges that will require innovative approaches by electricity grid operators to meet system needs reliably and at least cost. These issues are of greatest interest to utilities, grid operators, and public utility commissions, but many also have greenhouse gas (GHG) emissions ramifications. This chapter focuses on approaches that have the most influence on GHG emissions, and summarizes emerging opportunities that can simultaneously improve electric reliability and reduce air pollution. “Optimizing grid operations” refers to activities undertaken to improve the performance and efficiency of electricity transmission and distribution systems by grid operators (i.e., independent system operators [ISOs], regional transmission organizations [RTOs], and distribution utilities). Performance improvements include better and lower-cost levels of grid reliability, more efficient delivery of electricity, reduced system losses, and increased capacity utilization for more efficient use of assets (and thus requiring, over time, less capital investment). This chapter describes innovative approaches for the active management of the bulk electricity transmission and distribution systems to accomplish these improvements. It also covers enhancements to load management and rate design that can foster better management of the distribution system. Optimizing the operation of transmission and distribution systems has not been a typical control measure considered by air quality agencies for GHGs or for other regulated air pollutants. 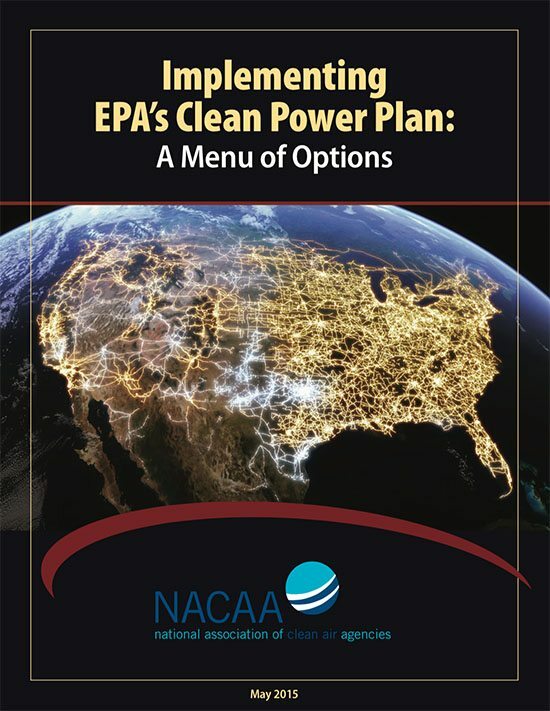 However, improved grid operations can help to reduce GHG emissions and improve air quality, and states that implement these options may be able to develop more cost-effective plans for reducing GHG emissions. Improved grid operations may also be a suitable option for regional (multistate) collaboration on emissions reductions because electricity grids are characteristically multistate in nature. Efforts to optimize the grid system center on the many strategies that can be used to get the same or greater capability out of a utility’s wires, saving energy and thereby reducing the need for upstream generation. Examples include optimizing voltage regulation and power factor management, adjusting load levels, and enhancing levels of grid intelligence to meet energy demands (e.g., “smart grid” solutions). Efforts to optimize grid operations can also include market mechanisms to encourage the participation of new service providers and innovators. Finally, optimizing grid operations can involve a myriad of ways (including pricing and rebates) that utilities, system operators, and regulators can encourage customers to modify their electrical loads in exchange for some form of compensation. New challenges to grid operation also include the integration of more distributed and variable energy resources, plus the inherently more diffuse nature of system operations associated with diverse customer ownership of distributed resources. Fortunately, intelligent grid capabilities, along with advanced communications and new grid technologies, are providing solutions to these new challenges. Many of the approaches considered in this chapter rely on or can be enhanced by some degree of “smart grid” technology. The “smart grid” – a suite of enabling technologies that are increasingly prevalent, but the potential of which has hardly been tapped in practice – is discussed in greater detail in Chapter 26. It is worth noting here, however, that the US Department of Energy and many states have launched smart grid or other grid modernization initiatives in pursuit of such opportunity. Several similar efforts are also underway in the private sector (e.g., by the Electric Power Research Institute [EPRI]8). Along with these new approaches, there are also several existing, mature technologies and technical solutions that can be applied in many areas of the electrical system. Many of these ways to improve operation of the grid fall into one of the following categories: conservation voltage regulation, volt-ampere reactive (VAR) control/power factor management, dynamic pricing and demand response (DR) programs, and well-placed storage to optimize the grid.